Wow, Honey, what a great life you have. I am so happy for you that you pursue your desires and dreams. You are an inspiration. Good morning all. Wish you a safe and pleasant trip and(تقبل الله طاعتكم مقدماً). I hope Saudi authorities are escorting you until you get to the other side of the SA. Meanwhile we are anxious to learn about your experience in Africa. May God bless you and keep you safe. 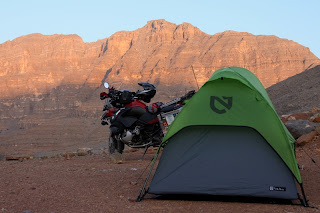 Really this is nice post.Thanks for share.Let us have a look at few best tents for motorcycle camping. The increased popularity of adventure bikes has increased the need for various camping gears for motorcycle camping. If you are someone who enjoys going to new and newer places riding your motorbike, then motorcycle camping might be a great way for you to have some outstanding camping experiences. 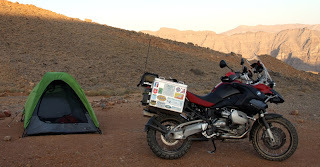 And the first thing that you need after a motorbike for a motorcycle camping is a best tent for motorcycle camping.